By Jeffrey and Flora, 23 Jan 2011. 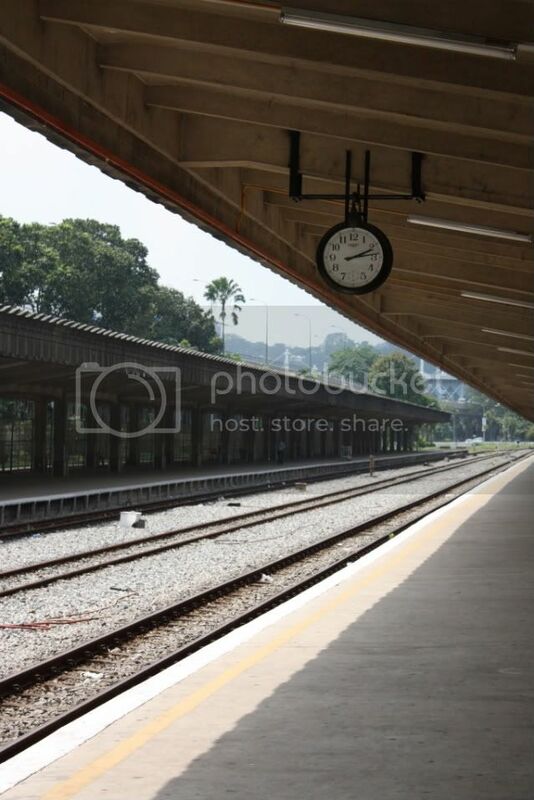 After exploring the Bukit Timah Railway Station a few months ago, I felt the need to visit the other old railway station in Singapore before it was too late: Tanjong Pagar. This train station was much easier to get to (there’s a bus stop right across the street) and I didn’t feel like a creep walking around taking photos. Maybe I’m just getting used to that feeling, though. The building has a pretty, art deco look to it (it was opened in 1932). I couldn’t help but feel a little sad as I walked around the desolate train station. It feels like you’ve stepped back in time when you walk into the building, especially here in Singapore where newer and shinier seems to be the preferred design aesthetic. 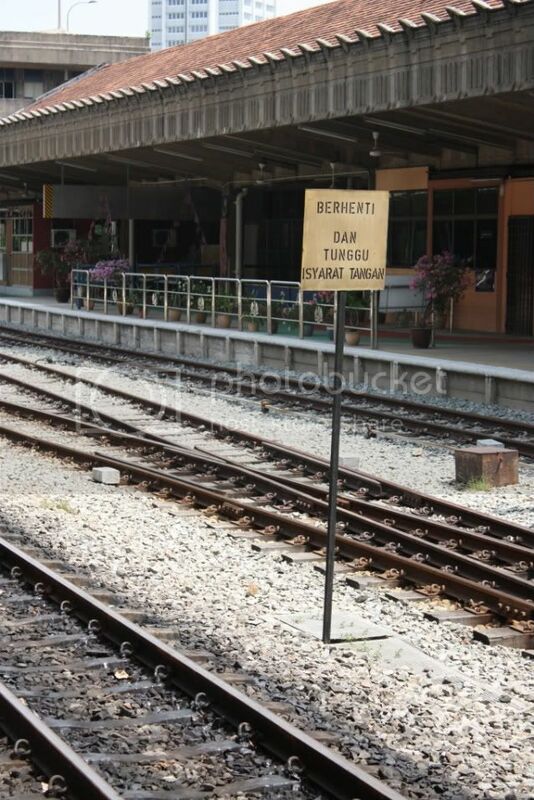 Currently, trains come to this station from Malaysia, but that will end in July of 2011. Trains will stop in Woodlands now instead of at Tanjong Pagar. According to this article, conservation efforts will take place to keep the historic train station as part of a new development on the property, but it’s not clear what that development might be. I hope the building’s character isn’t lost when it ceases to be a functioning train station. 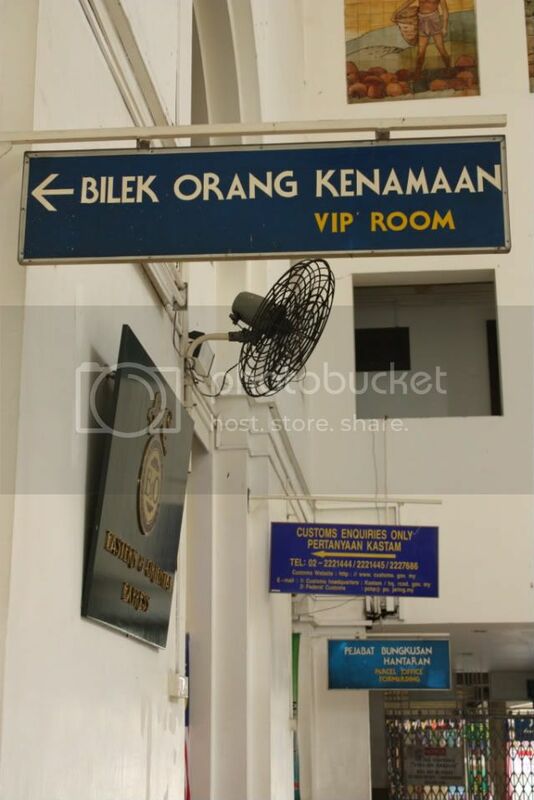 It’s a beautiful relic from Singapore’s past and it deserves to stay that way. I totally agree with what Mr. Leong Kwok Peng said about if we do not preserve this green corridor, we will never be able to get back the plants and animals living there now. Once gone, forever gone. In today’s The Straits Times article, titled “Nature lovers push harder for green corridor”, transport researcher Lee Der Horng said turning the railway track into a cycle track that allow cyclists to commute to work WILL NOT help relieve traffic congestion. I do not understand why is that, and whether his comment is based on solid evidence. If developed Europe can pursue a vehicle-free societies by making their cities more cycle-friendly, i don’t see why Singapore cannot achieve that. I would definitely use the railway track to cycle to work every day if it is implemented. Singapore needs a political will to transform our city to a more livable, sustainable, healthy one! Public can always dream but policy makers make the decision. Be it good or bad, public will have to swallow them. Public face will be like a traffic light, either red or green. Pray the face doesn’t turn from red to green. If nothing is decided, then it is a public bonus. Remember, yesterday can be better than tomorrow. Don’t forget tomorrow can bury us. Love the track, it connects man with the earth. The Biotic succession will benefit from North-South Green Corridor; it is a key strategy for conservation of ecosystem. The Green Corridor would allows native plants, animals and insects succession expend from Bukit Timah Nature Reserve toward North Kranji wetland and possible link to Marina South, if support with the Green tunnel. Urban development is a major cause on the ecosystem; Butik Timah Expressway is an example.